The alleged ‘’Fountain of Youth’’ drinkers like Beyonce, Pharell Williams and Arthur Mafokate (to mention a few) probably bow in the presence of Thembi Seete since she ages more than gracefully. We’ve seen her on television, real life, social media platforms and no matter what kind of make-up she’s wearing, Thembi Seete never ceases to leave us in a private debate about her age. At 40-years-old, Thembi has said that life has taught her to “invest in herself” and take the time to make sure that her body and mind is looked after. She’s shy about the compliments though and laughs off comments about her age. But when she’s posting flawless pictures ain’t no way she can brush off the love. 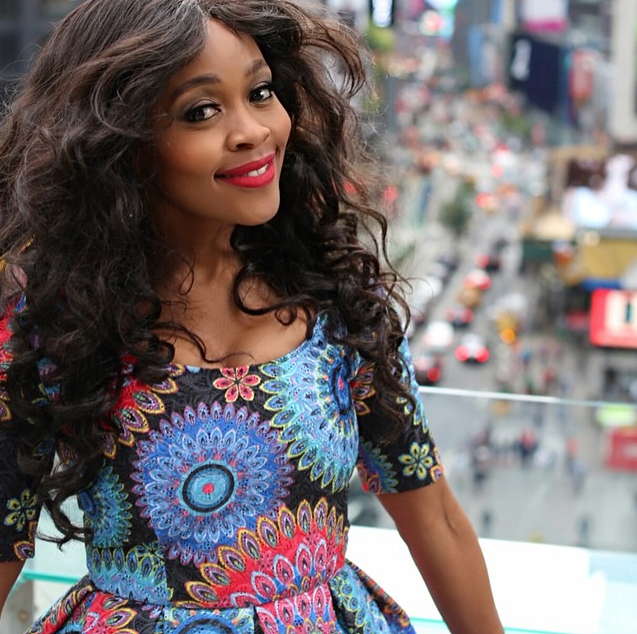 Here’s five pictures of Thembi slaying! ← Kwesta, Big Nuz and Durban Finest to rock West Ink’s Wololo Music Fest. Five things you need to know about Bonang Matheba!